Will you please help us continue to grow LGBTQ visibility, support and connection in Napa & Sonoma Counties? Give OUT Day, the national day of giving to LGBTQ causes, is Thursday, April 19. Supporting only takes a couple minutes of your time and a few dollars, and we'll win thousands in prizes if we get the most number of donations by 9p on the 19th. For the last few years we were short of winning grand prizes by only a few donations. Clearly, we need you. When our program began in 2011 as a youth support group at VOICES Napa, who knew that we'd bring so many different kinds of people together over the years and launch locations in Napa, Sonoma, Santa Rosa and Calistoga? We've since become a model program in California, building momentum for big change in rural communities like ours. Our success and growth has been driven by our diverse youth leaders and fueled by support from people just like you. Go now to https://www.giveoutday.org/c/GO/a/lgbtqconnection and schedule your donation to us (any amount) for April 19. Sign up to be a "champion" of ours--committing to recruit 4 friends to give (again, any amount)! Just shoot me an email to let me know. 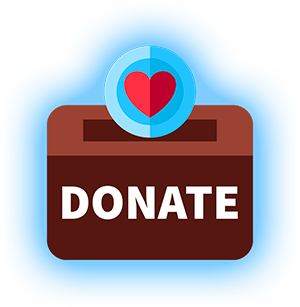 Find out if your workplace makes donations to nonprofits and have them give. We love celebrating business partners!